Thermometer is the number 1 thermometer application on the AppStore. The most accurate thermometer application on the AppStore! 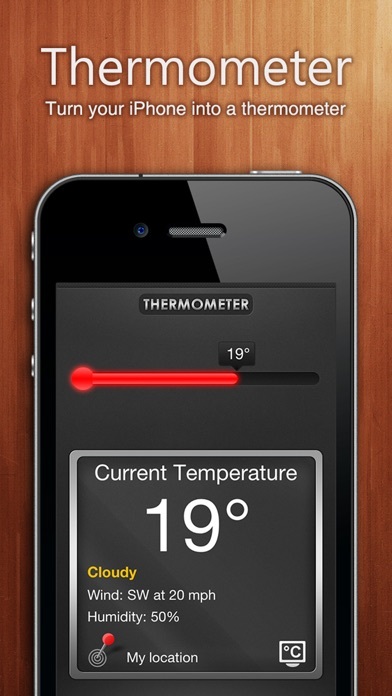 Thermometer is the original and top selling application that turns your iPhone or iPod Touch into a thermometer. This application will tell you the exact outside temperature based on your current location (GPS or WiFi). An animation will show you the current outdoor temperature on an stylish red LED thermometer. ◉ Universal app. This application works on your iPad, iPhone or iPod Touch. One version for all devices! 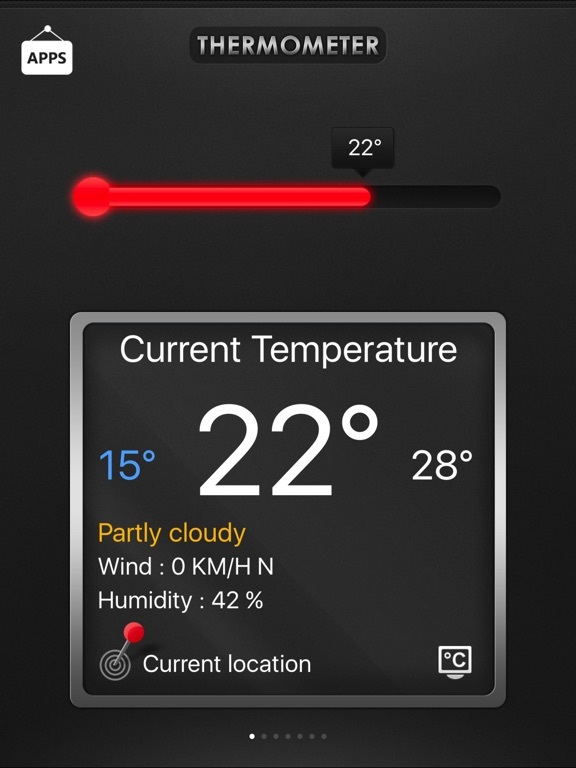 ◉ Local temperature based on your current position (GPS or WiFi). 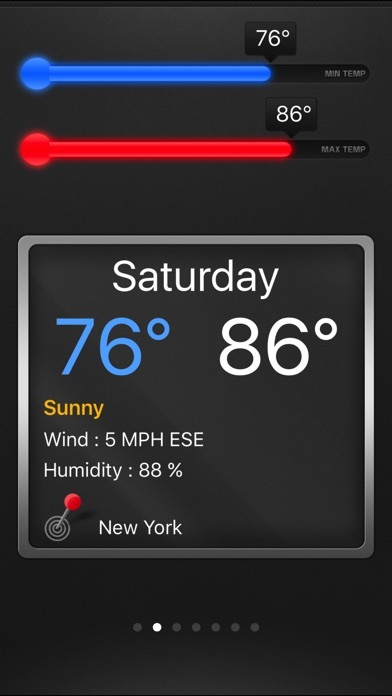 ◉ Local condition report, temperature, high & low, wind speed & direction, and humidity level. ◉ You can check the temperature for other cities. 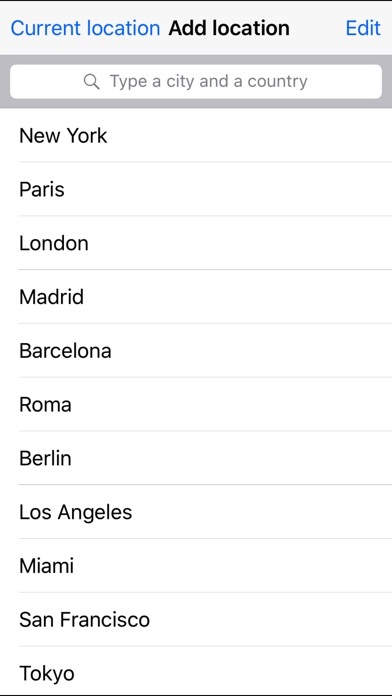 Choose the city you want to see weather for by scrolling through your saved cities. 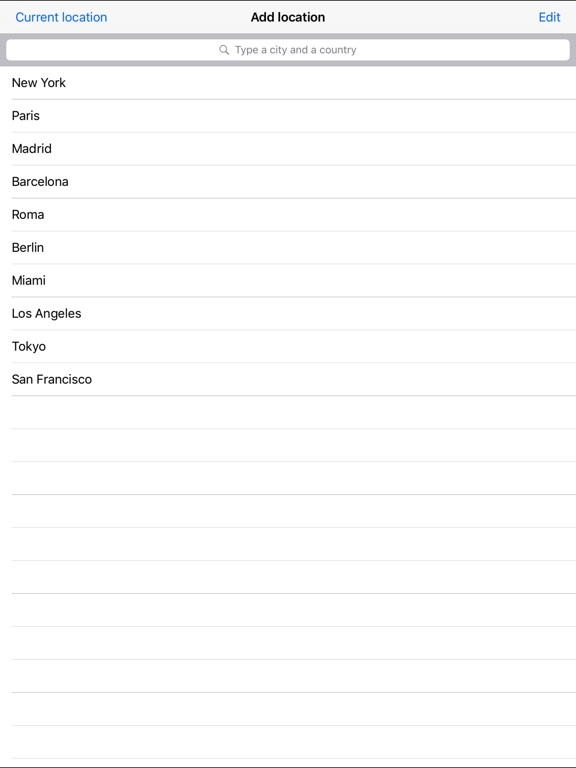 You can add or delete cities, and reorder your list. PLEASE, ENTER THE CITY AND THE COUNTRY. ◉ The temperature is displayed in Celsius or Fahrenheit. 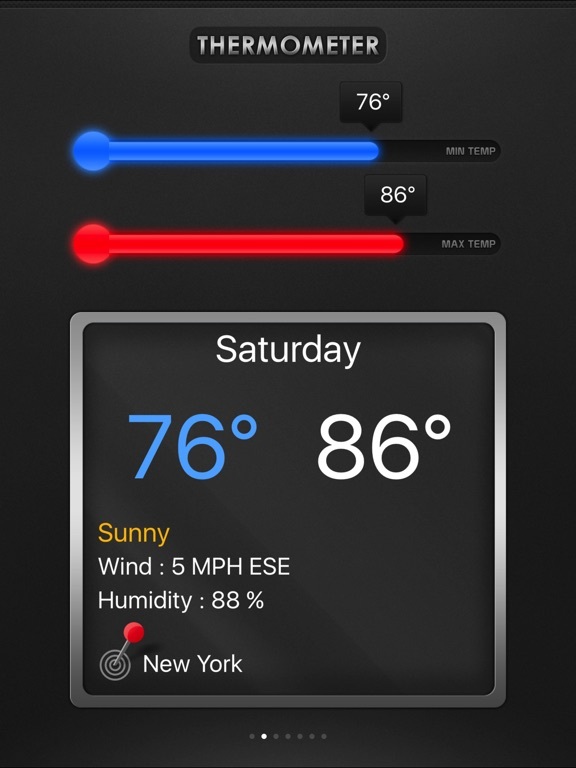 ◉ The most accurate thermometer application on the AppStore. ◉ The application is available in English, French, Spanish, Italian, German and Japanese. IMPORTANT : This application requires an active Internet connection to retrieve data. You also need to turn on "Location Services" option in the settings of your iPhone.